Joshua, I recently acquired a pair of Cabin Still 750ml's that are certainly post '72 (I'd guess around VERY late 70's or early 80s seeing as they have real tax stamps but also a barcode, 88508). HOWEVER, they are 90 proof and state, "Distilled, aged, and bottled by Cabin Still Distillery Louisville KY. No mention of the word "For". Have you ever come across this variation? Is it possible this bottle bypassed a Seagrams vatting? I eventually will crack these open, but hope I have a prayer in avoiding the "Cabin Swill" curse. I've seen that there are 86 and 90 proof versions. Cabin Still is a popular dusty find and many people really like it. It is entirely possible that the quality waxes and wanes and that there may even be periods in there where it was all or substantially more Stitzel-Weller in the mix than at other periods. It's also possible that this stuff would just taste better at higher proof. Or maybe it's all the same swill. I haven't tasted enough of this stuff to say (and I'd like to know more). Please post back after you've tasted it. Maybe we can swap tastes too. My e-mail address is on the "About" page. Holy cow. Per that barcode that's actual Stitzel Weller juice... I found some that's from Distillers Limited '89 — didn't buy it. This was a very interesting read. Thanks! Cabin Still is currently distributed in Minnesota. It's not terrible. It just tastes like a dried corn cob that has been sweetened. I've bought it twice since moving here. The second time was to include in a tasting for new bourbon drinkers. Most of them liked it better than the Wild Turkey Rare Breed I finished with as it was gentler, sweeter and more accessible for them. @arok! So glad to hear that Cabin Still is still being distributed and it's not bad. Is there anything on the label to suggest Luxco v.s. Heaven Hill? Would your palate indicate whether it's a wheater or a rye mash? I'll be on the lookout for some next time I'm far afield. It's definitely not here in NYC. I'll update the post accordingly. What liquor store did you get it at? Any help would be appreciated. Josh, good read to say the least. I have to say it put a bit of a damper on my find of 3 bottles circa 1988 I had today, lol. Anyway, the thrill is in the hunt and that seems to be very true in today's case. Thanks again. Were they 80 proof (or 86, or even 90)? I'm curious to hear your tasting notes. Maybe they will be different from mine. Please comment back or let me know what you think when you taste it. Certainly the thrill is in the hunt and it's fun to find vanished expressions. 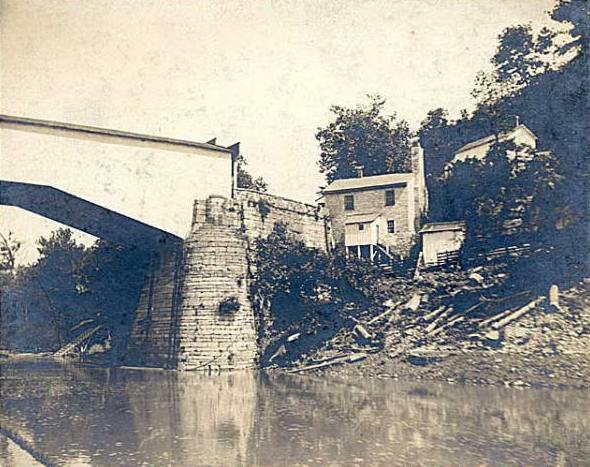 The connection with Stitzel-Weller is tantalizing here, but the history is complex and checkered. But some people love this stuff which makes me wonder if there was variability. For me, when it comes to the "what have we learned?" department, my father accurately summarized: "nothin'", after telling him about my recent adventure in drinking a can of scotch (that's right, I said a CAN of SCOTCH). I hope that he's right but have to say, Stab n' Kill story (or "sorry" as my phone's auto correct attempts to force and here) is a similar teachable moment of both historical and palate reference. Somewhat of a learning through punishment type of experience. I feel that through your description, I too have already tasted Stab 'n Kill. Excellent descriptors. But in the end, knowing that whether it be may be musty warehouse packed with soggy sawdust and cardboard lined barrel flavor or an underaged, undisclosed distiller, single grain Scottish whisky bottled in Florida.... Excuse me, I meant CANNED in Florida, I still feel the need to experience it thinking I'll truly still learn something. I'm sure the stock has long since evolved into a wonder of sweet corn astringency designed to be masked with mixers and ice for economy drinkers and backwoods bars alike, not entirely dissimilar from "Five Low" (aka Ten High), it isn't "blended" per se and I may just have to purchase a bottle as punishment, or a poker night, camp trip, teachable moment, etc. Cheers. Cabin Still is available in New York for around $15 a liter. It's not bad at all and a great mixer. I'm lining it up against four other el-cheapo 80 proofers this afternoon (Benchmark, Ancient Age, Four Roses and Old Fitzgerald) to see how it stands up. True! I just ran across it earlier this week at Astor Place Liquors. But I swear it's the first I've seen of it in NY for YEARS! It's a Heaven Hill product now with a different mash bill than the old stuff. I'd love to hear how you think it rates against those others. I may pick some up myself and see what the heck it is now. In 2016, I bought 1.75 liter bottles outside of Albany NY for under $20 each. Decent corn whiskey taste. Not bad for the price! 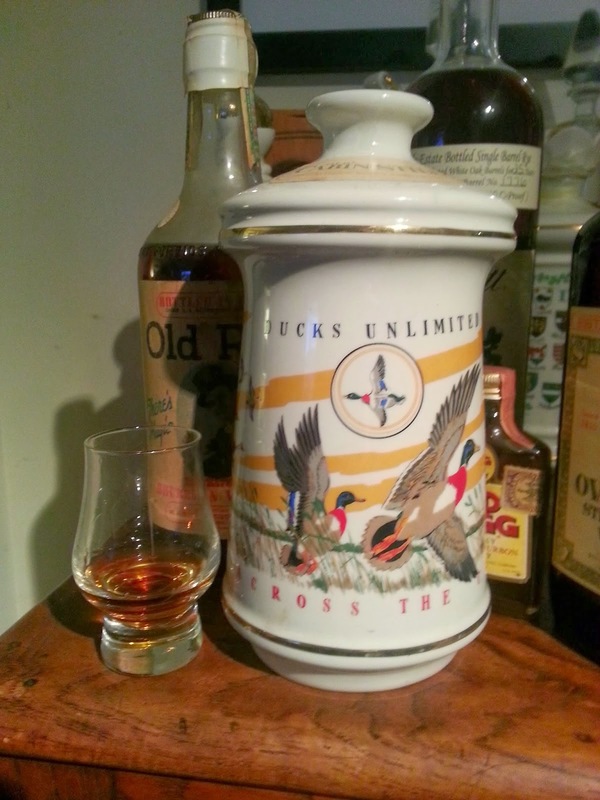 I have a decanter that looks exactly like the Cabin Still Sportsman's Series, with a pheasant on it. However, the Name of Cabin Still are not on the bottle anywhere. The only markings are on the bottom. "LIQUOR BOTTLE" written in one direction. Then, facing those words, is the number 2. Under that is "65" then a circle with something inside of it (I think), Then the numbers "72". Is this truly a Cabin Still bottle? This sounds fascinating. Will you e-mail me pictures at josh[at]cooperedtot.com? Thanks! I bought a couple of bottles of Cabin Still at Astor's in Manhattan recently and took them home, expecting the worst. Well, I'm happy to report that this bourbon is actually, to my taste, quite good. It reminds me of Old Charter. Not Stab-n-Kill at all! 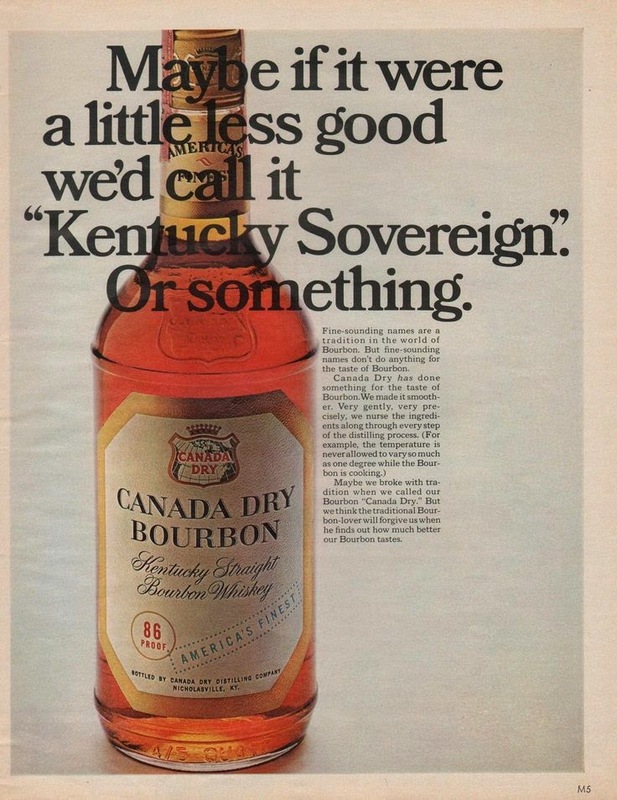 Yes, it is now produced by Heaven Hill, so the quality has been recovered. It deserves to be marketed widely again. I prefer it to many of the expensive boutique bourbons that are all the rage now. The best bourbons, I have found, are consistently lower-shelf---Ancient Age, Old Charter, J.W. Dant, and now, Cabin Still. Thanks for the report, Adair. My friend Ken Kurtz (the author of the term "Stab N Kill" also purchased the new stuff at Astor and had the same report. He has saved some for me. I've been assembling samples of Cabin Still of various eras and various proofs in order to do a proper follow-up of this post. Tasting the new stuff will definitely be a part of it. Is the new stuff even a wheated mash bill though? I fear that it's nothing at all like what it once was. I'm not sure if Cabin Still continues to be a wheated mash bill. I tried some again last night--it had a delicious, full, sweet finish. Then I tried some Old Charter 8-year. 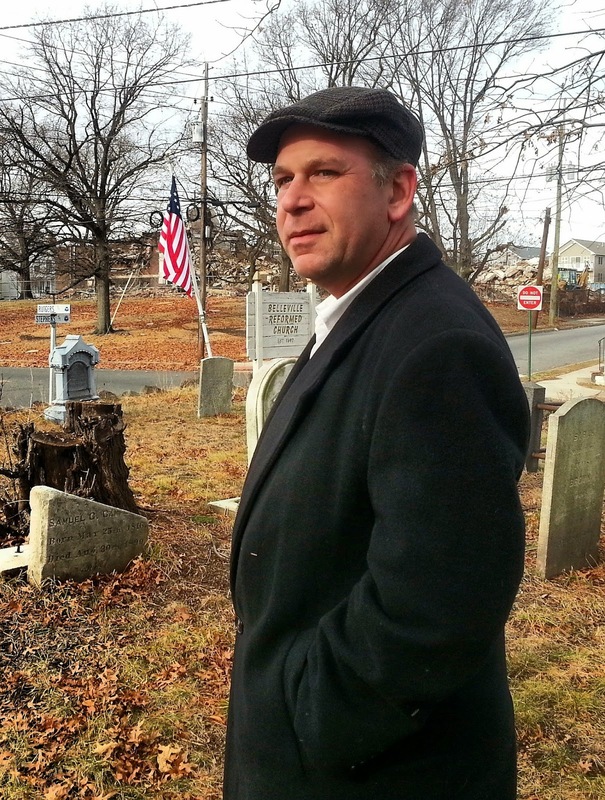 The Old Charter wins by a narrow margin; it has just a little more complexity and depth. But essentially, they taste very similarly to me. If I didn't know that Old Charter was made by Buffalo Trace, I'd have thought that both bourbons came from the same distillery. So, it is probably quite, quite different from what you tried in the 1980s. I'm definitely going to buy more Cabin Still, though. It is really good. Thanks for your fascinating history of this brand. Hi Pamela. I've messaged you on FB - but you will have to look in your "Other" directory. 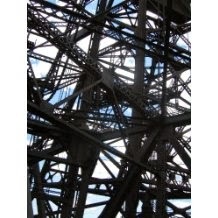 My e-mail address is josh[at]cooperedtot.com (you have to replace "[at]" with an "@" sign). 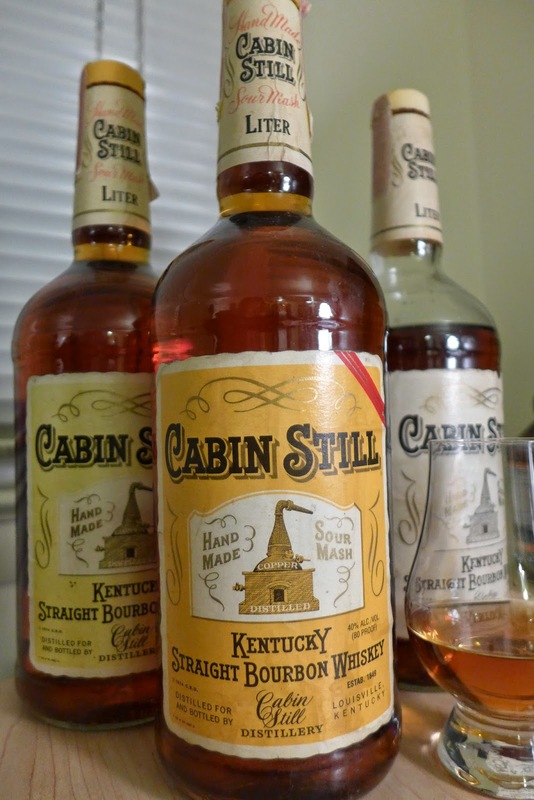 My dad drank Cabin Still for years and that was the only bourbon any of us would drink for a long time. I'm holding a bottle of 93 proof, dad was saving it for his 100th birthday. 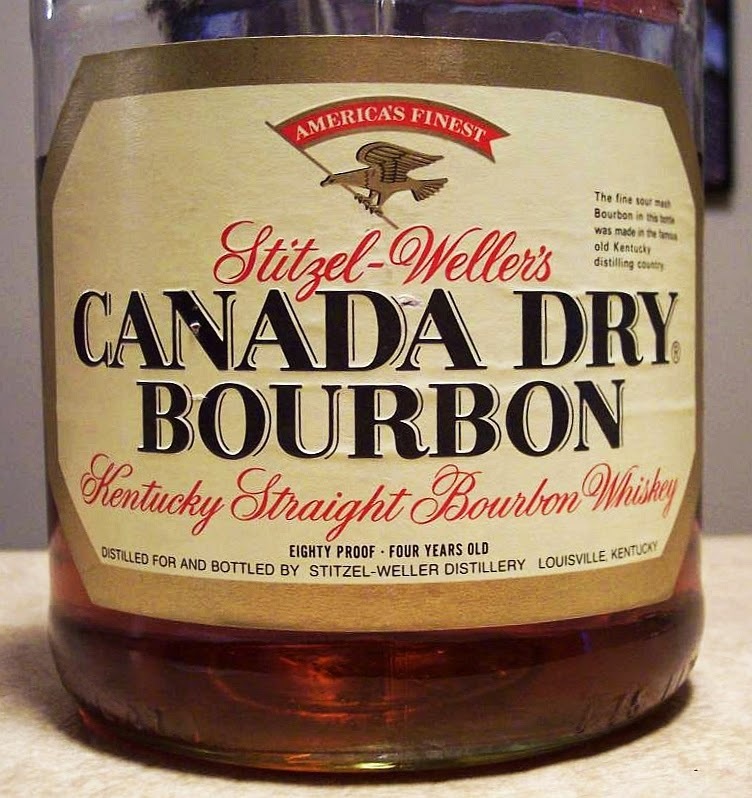 It's labeled WL Weller's Cabin Still, and says "Distilled and Bottled by Sitzel-Weller Distillery" has a red tax label on it. I hope it's the good old stuff! Sounds like fantastic S-W stuff. Cabin stills half gollon from 1956 unopened with original box, how much is it worth? 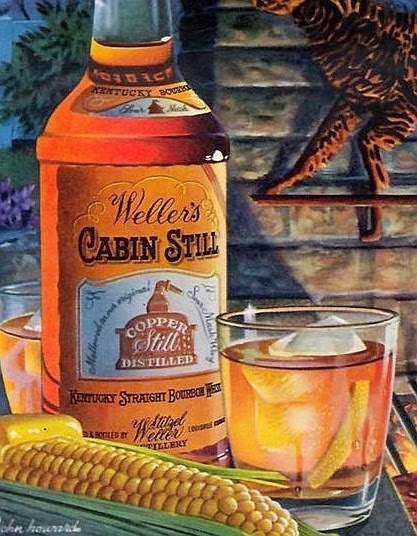 Weller Cabin Stills half gallon unopened/sealed, how much would it be worth? Hi Amanda! It would be worth a lot if the seal was good, fill level high, and the whiskey inside unclouded (i.e. a transparent clear brown). E-mail me to discuss further. My address is josh[at]cooperedtot.com (and replace "[at}" with an "@" sign). I have 6 bottles of the cabin still sportsman collection. Does anyone know how many bottles are in that collection? Hi Jeff, I'm a first time visitor to your site but assuming you give other spirits such a thorough history and review I will definitely be coming back. I realize it's been a while since you wrote this post so you may know this already, but in Minneapolis/St Paul (where I live) Cabin Still is the bourbon you'll find in the well at most good cocktail bars. It's worth noting that it can be found at many of our liquor stores for $11/liter (or $15/1.75). It has become my standard when making bourbon cocktails at home, especially for people who wouldn't notice the difference if I used a more expensive bourbon. 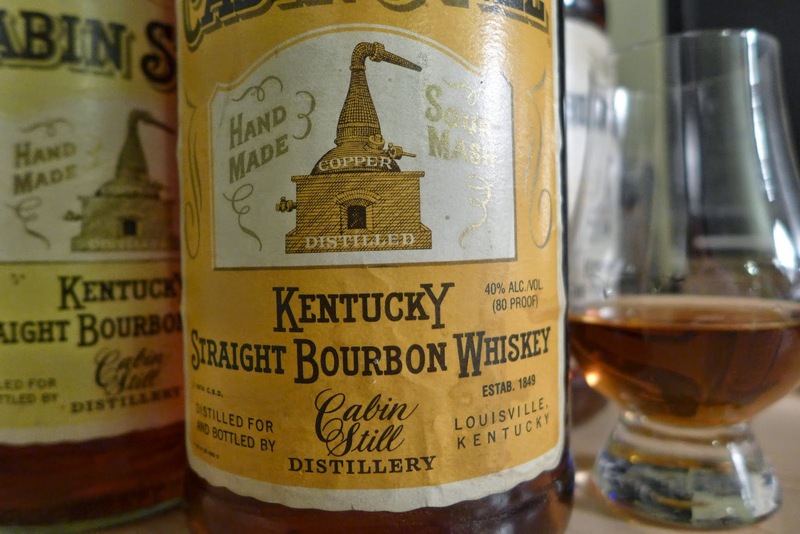 After the disappearance of my favorite bourbon, Old Heaven Hill Gold Label Bottled In Bond from the shelves of my local liquor store, (The Wine Source in Hampden), I switched to Cabin Still, (after a short sweet romance with Old Crow Reserve... Which also abandoned me for unknown reasons... Sigh...). For $10.00 a liter it is a great choice for simple cocktails, and after a moderate airing it's an excellent bourbon for simply enjoying straight or over a single ice cube for times when you just want a not overly complicated drink with food and friends, and not a full blown 'tasting session'. Just ran across your site, very interesting and informative. Thanks!! I happened upon this article by chance and scrolled the comments idly when I saw your comment, Dave. I'm having a wee post-evening-class tumbler of Cabin Still purchased at the Wine Source in Hampden at this very moment! Perhaps we've passed each other in the whiskey aisle! Has anyone seen this in Little Rock? My great uncle gave me a unopened bottle of 1956 porcline old cabin still strait kentucky bourbon. Can anyone rate this? If the fill level is high and the seal is good it will most likely be delicious. Some of the finest bourbon ever made. If the fill is low, it's anyone's guess whether the contents might have gone rancid (cloudy).